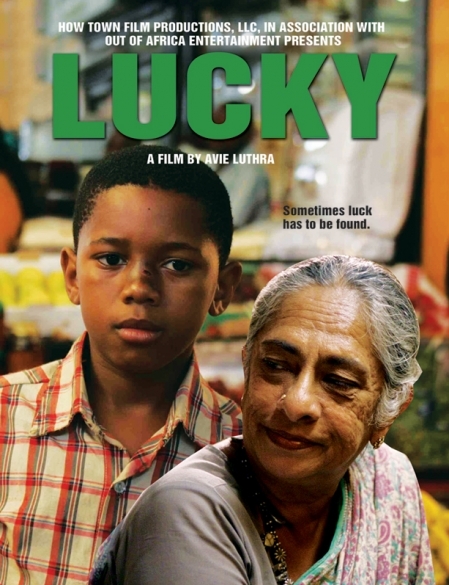 Supported by the Gauteng Film Commission, Lucky is a drama about a 10-year-old South African orphan who leaves his Zulu village to make his own life in the city, only to find no one will help him – except a formidable Indian woman called Padma. Newcomer Sihle Dlamini, whose only previous film experience was a non-speaking role in Khalo Matabane’s State of Violence, plays the title role of Lucky. 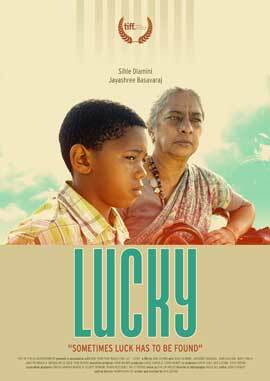 Lucky had its world premiere at the 2011 Toronto Film Festival. Since then it has won numerous awards, which includes Best Film at the Bengaluru International Film Festival and Best Crossover Film at the London Asian Film Festival. 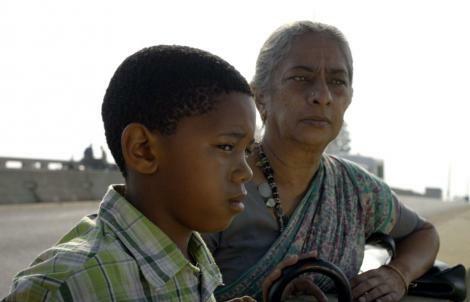 “No-one has made a film about Africans and Indians, and especially about the long-standing racial tensions between them that exists throughout the continent,” says Avie Luthra, the film’s writer and director. “The origin of the idea was always to look at the impact of racial segregation,” says Luthra. “When I lived in Durban, 10 years post-apartheid, the legacy of that regime was still very apparent. The Group Areas Act had done a thorough job of separating Africans and Indians. The short film went on to win 42 awards, as well as being nominated for a Bafta and shortlisted for an Oscar in 2007. Luthra, who has been listed as a Star of Tomorrow by Screen International, has a background in psychiatry and medicine. He only made the transition to filmmaking in his early thirties, when he enrolled in London’s National Film and TV School. To keep costs low, the film was shot over 26 days in Johannesburg instead of Durban, which allowed the Gauteng Film Commission to step in with support. The film was also supported by the Department of Trade and Industry. The Hollywood Reporter describes the film as “an awards contender” that “achieves poignancy without manipulation”. Variety describes it as an “emotionally resonant portrait of contemporary South Africa …delicate and real…extraordinarily touching”. And the BBC says it is “a wonderful little gem”, a “simple but profoundly moving portrait of humanity”. The film tells the story of 10-year-old Lucky (Sihle Dlamini), who after his mother’s death from Aids travels from his rural KwaZulu-Natal village to the city of Durban to live with his uncle Jabulani (James Ngcobo). But the uncle turns out to be a crook, a drunkard and a bully, who has stolen the money Lucky’s mother sent him for the boy’s education and neglects and abuses the boy. 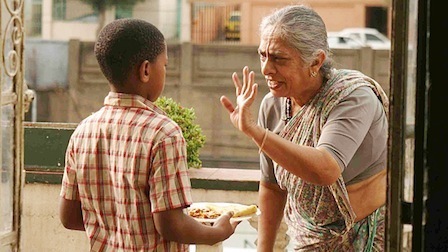 In the run-down tenement building where they live, an old Indian woman called Padma (Jayashree Basavra) begins to notice Lucky’s predicament.